A traditional favourite for showy garden displays. 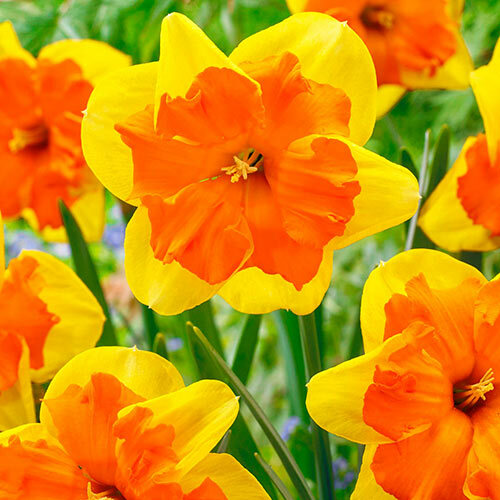 With its vibrant colouration, carefree habit and large 9 cm blooms, Congress Daffodil is sure to become a staple in your landscape, too. We love how the vivid orange cups lay flat against the rich golden-yellow petals. You'll love how it looks amid your existing mid spring border plantings. Create artful bouquets with a few stems to bring indoors or give to friends. Congress naturalizes beautifully and returns yearly with increased vitality.